L7 have announced a Detroit gig for 2018 which will be part of an evening with filmmaker John Waters. Waters, director of Polyester, Pink Flamingos, Hairspray, and many more, will be appearing at El Club in Detroit on April 21st (his birthday) to provide live commentary on his 1994 black comedy Serial Mom. After the screening/commentary, Waters will participate in a Q & A session, then L7 will wrap things up with a live set. 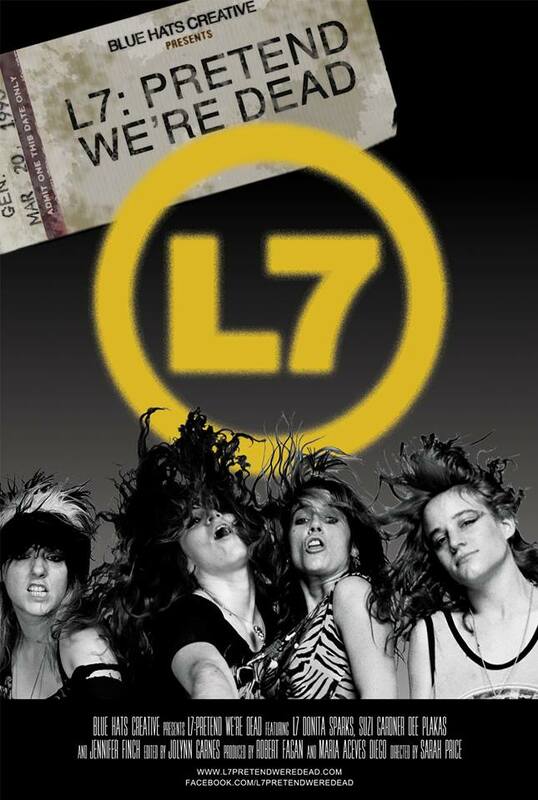 Tickets for Waters/L7 are available to purchase here. Meanwhile, L7's official documentary L7: Pretend We're Dead will be released on DVD + Blu-Ray this Friday, October 27th and is available to pre-order through Amazon. Ahead of the release, the film will screen this week at The Token Lounge in Westland on Thursday, October 26th. Tickets for the one-night-only screening are available here.